GYMKHANA Not quite your regular motorkhana. 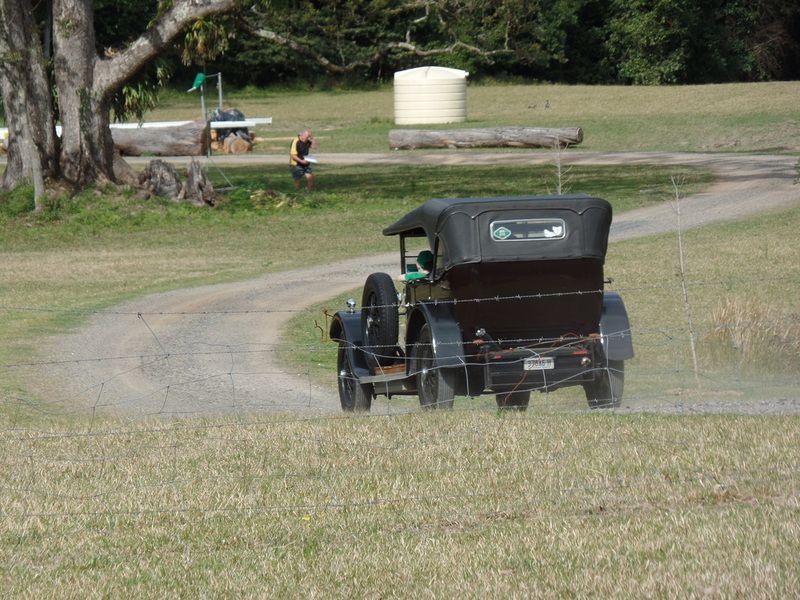 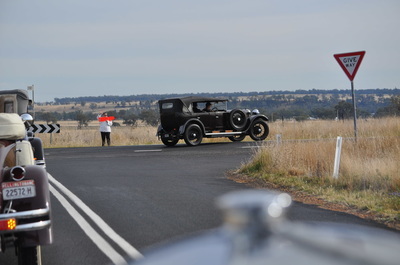 The VMC event includes the unique Rolling Challenge - who can freewheel their car furthest down a very long country dirveway. 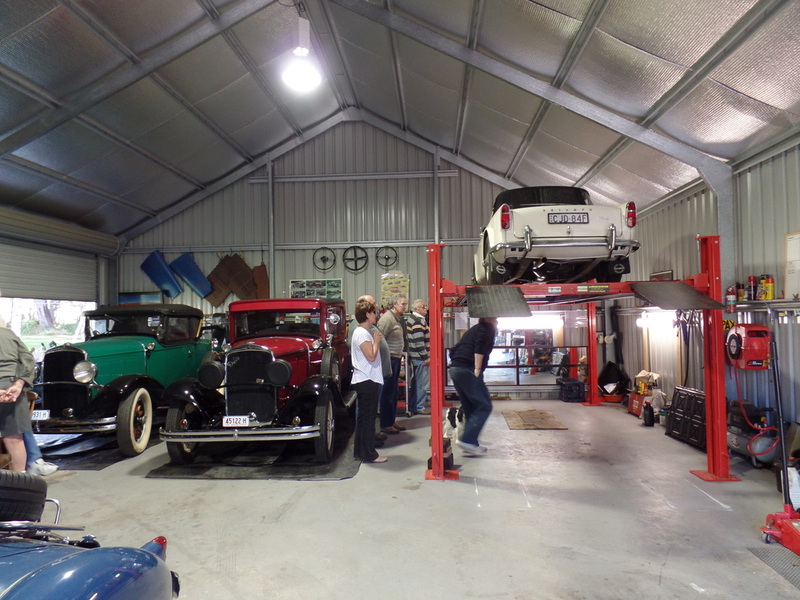 BRYAN'S SHED VMC Member Bryan opened his shed for us to peer into. 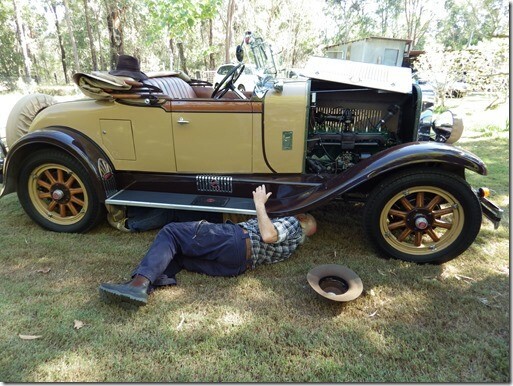 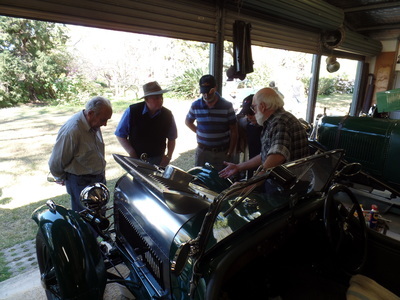 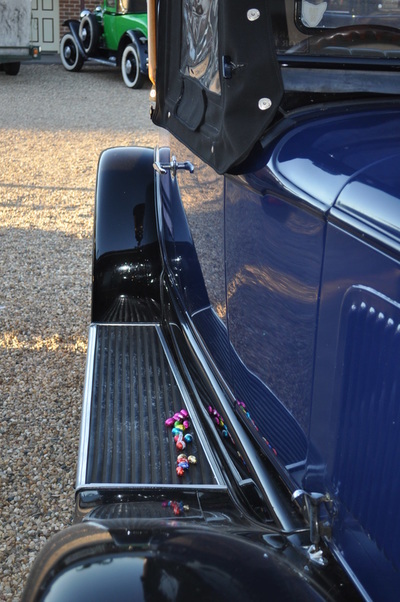 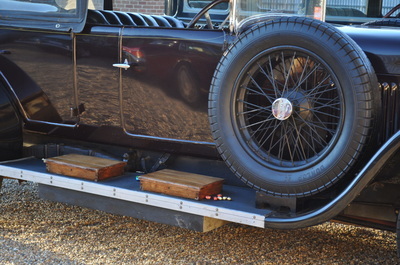 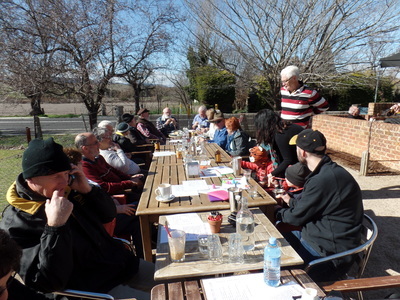 After an ideal drive out to Bryan's place members found out more about Bryan's cars, did some essential fix-ups on a couple of cars before they could proceed home, and enjoyed a relaxing picnic lunch in the lovely garden. 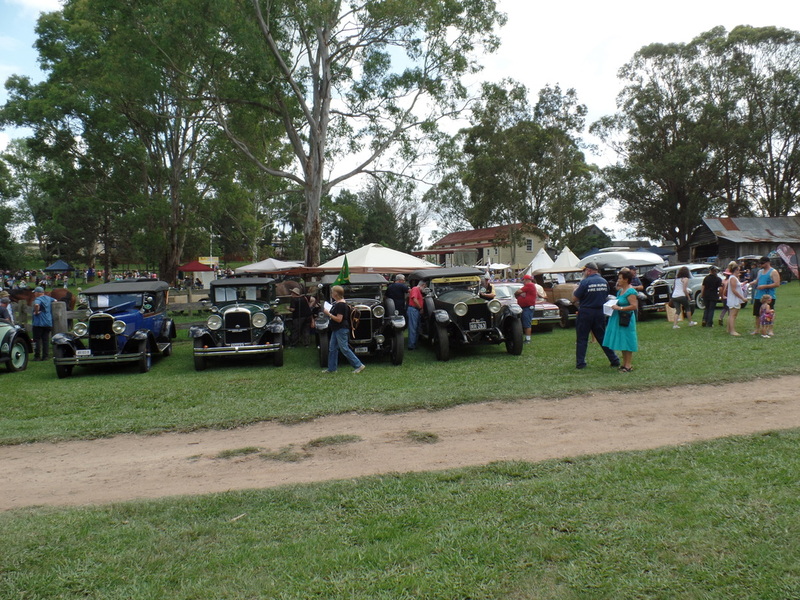 VMC MOUNTAIN RALLY For more than 40 years the annual Mountain Rally has seen cars, drivers, navigators and families traverse some of then most beautiful winter countryside in the Central West, Hunter Valley and southern Highlands of NSW. 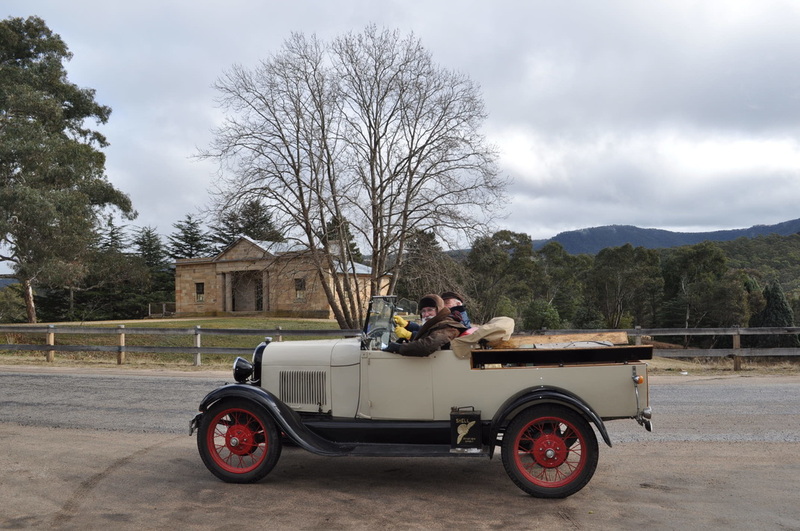 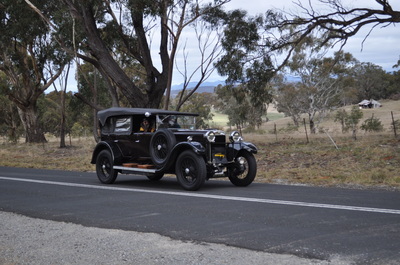 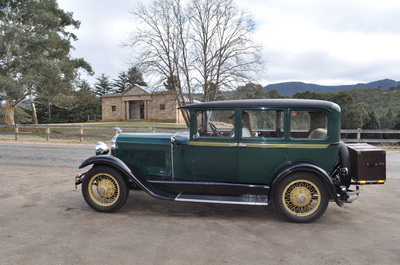 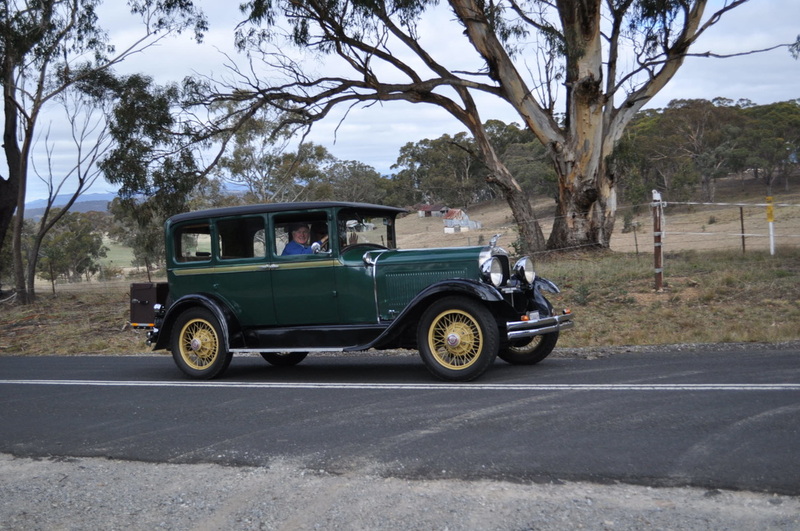 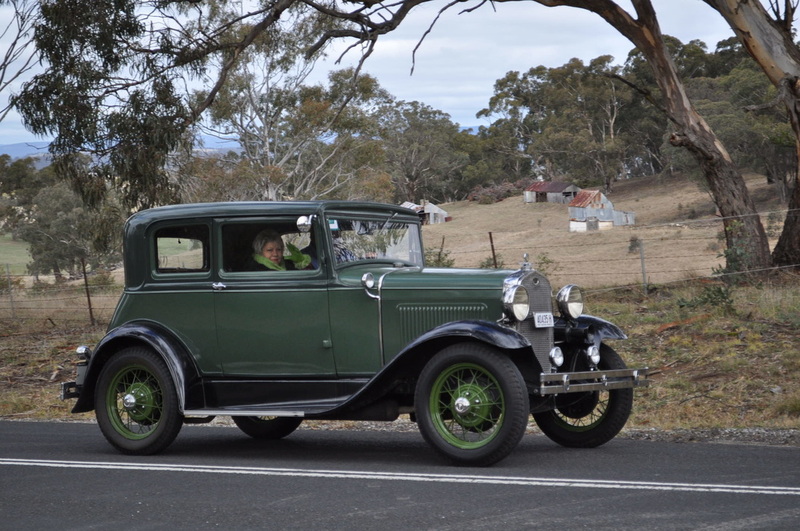 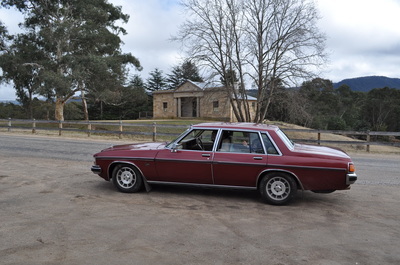 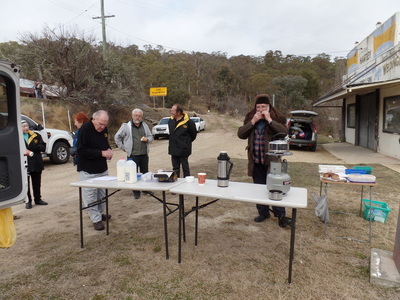 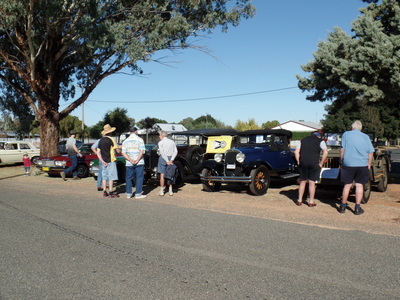 This year's Rally was a competitive observation and navigation rally starting at Hartley and travelling through Tarana, O'Connell, Sunny Corner, Portland and overnight stay at Wallerawang. 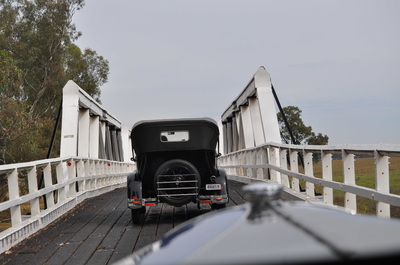 NATIONAL MOTORING HERITAGE DAY VMC went in two directions. 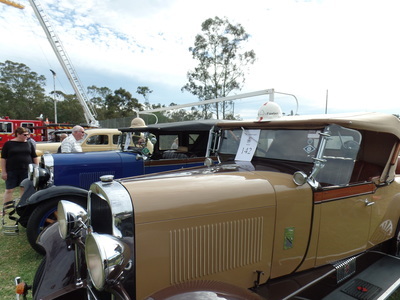 Our Annual H plate registration inspections and a social drive to Mittagong for some members, and Oakville RFS Car Display at Pitt Town for others supporting Oakville Brigade's 70th Anniversary with 2 VMC cars restored and owned by former Oakville Deputy Captains. 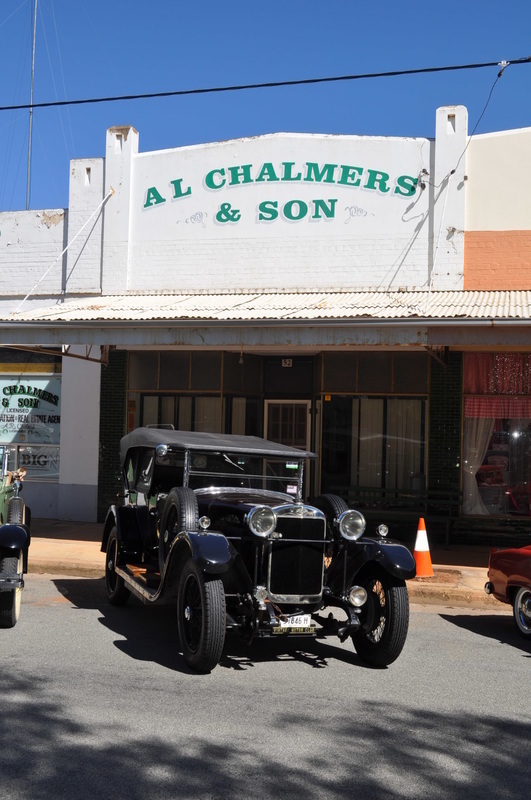 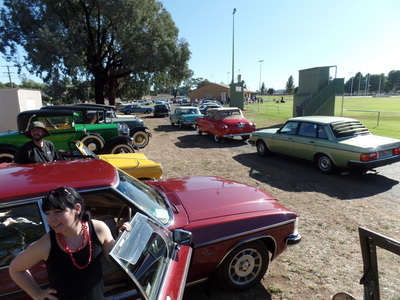 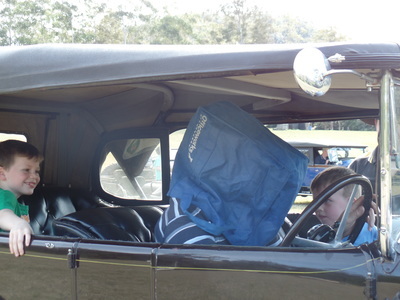 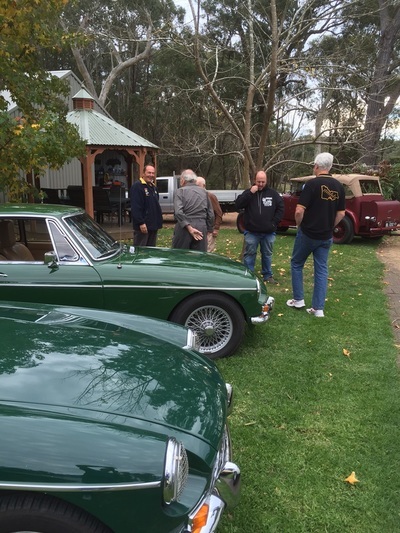 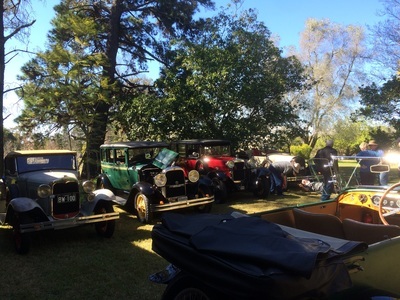 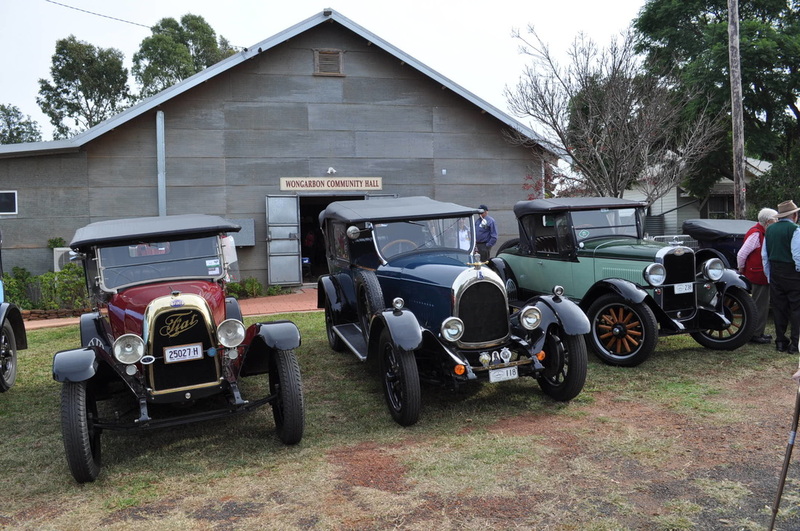 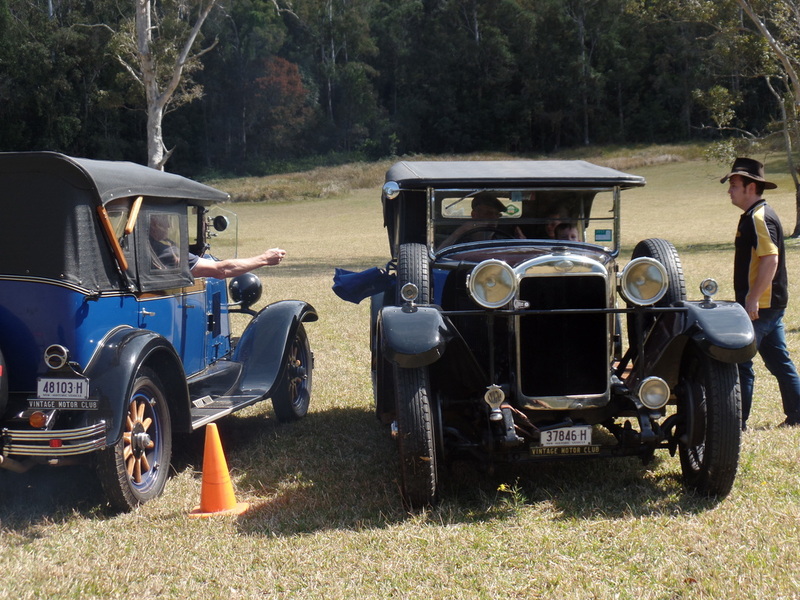 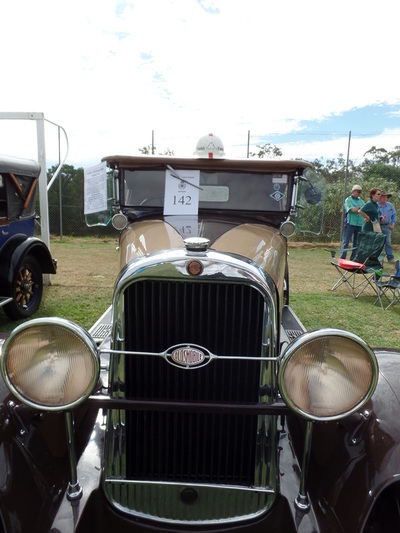 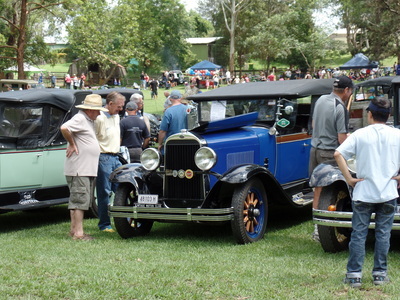 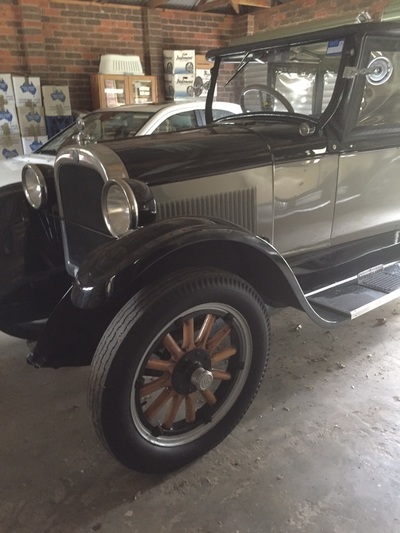 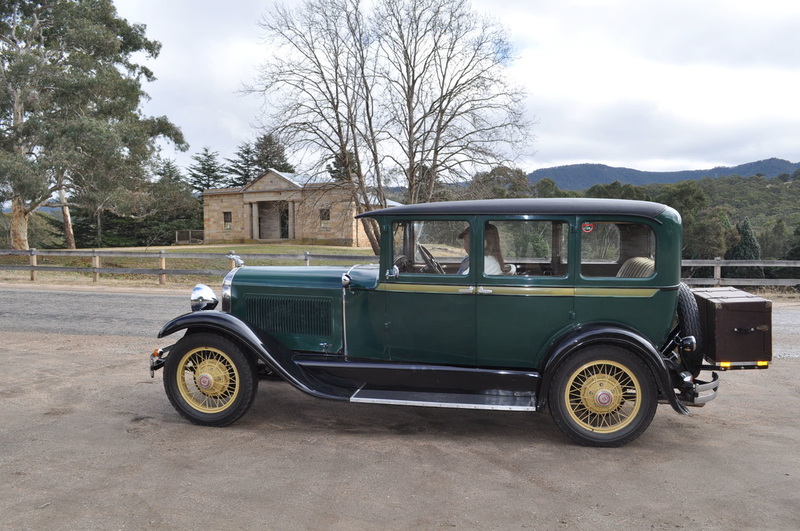 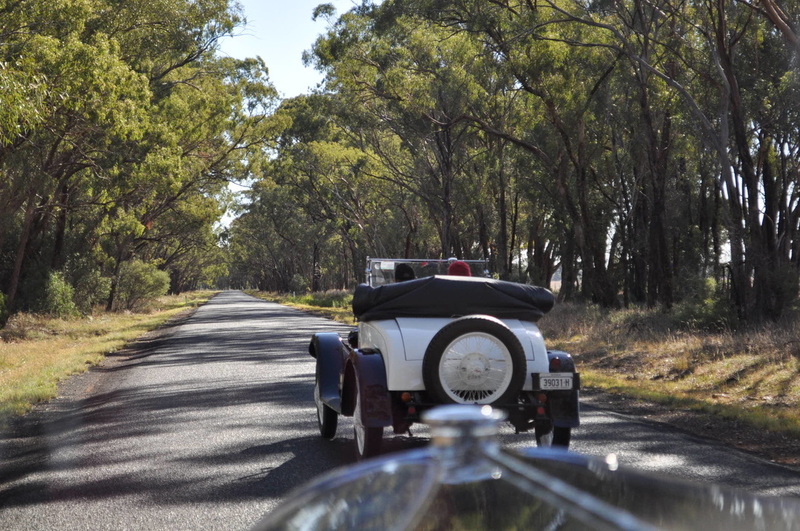 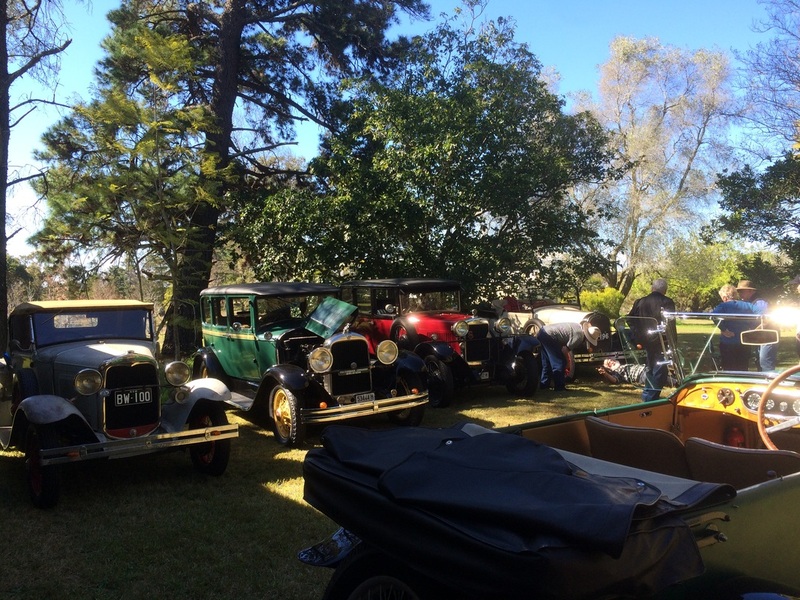 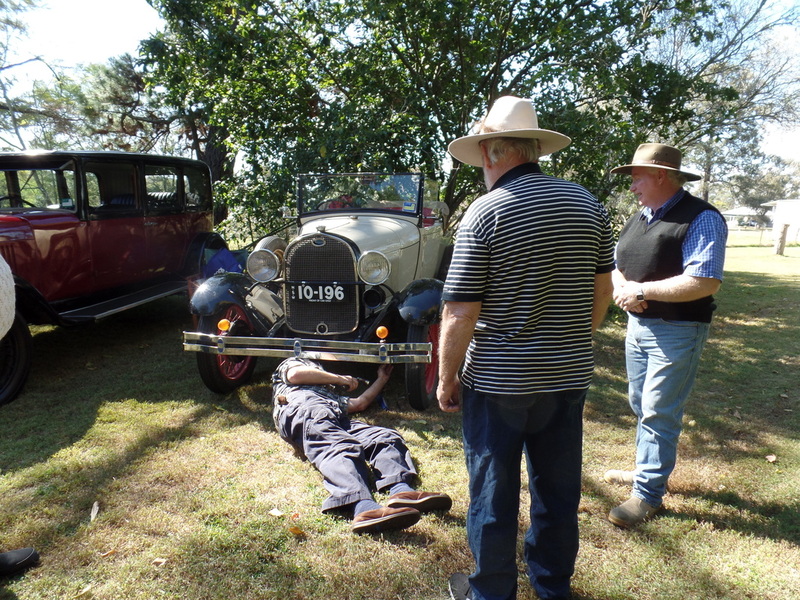 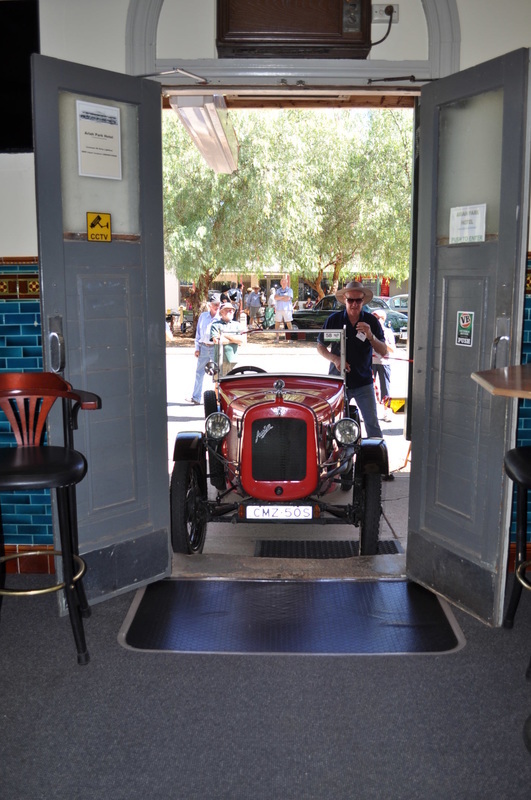 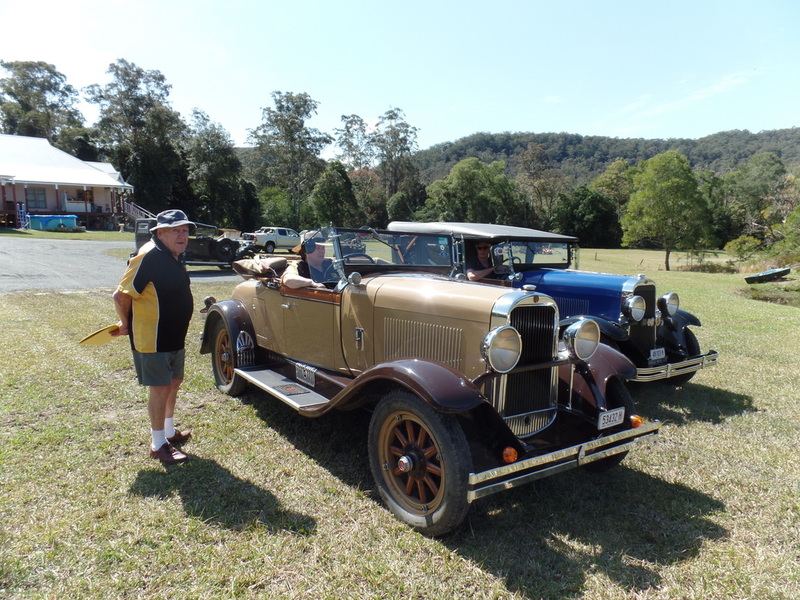 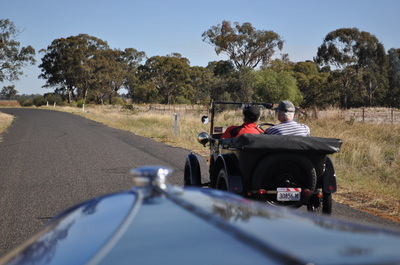 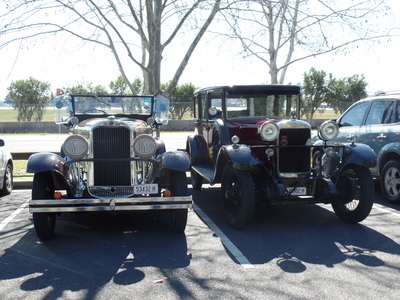 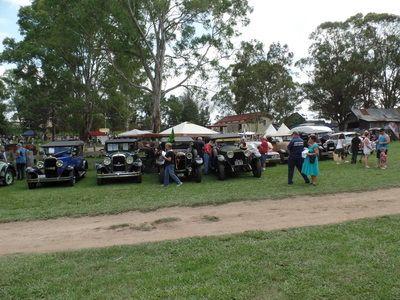 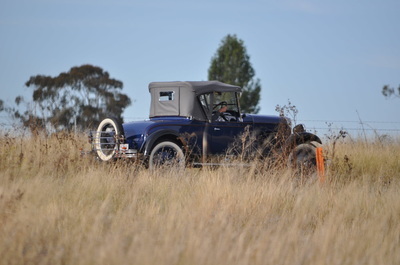 PRE-31 AUTUMN TOUR Hosted by Dubbo Antique Automobile Club. 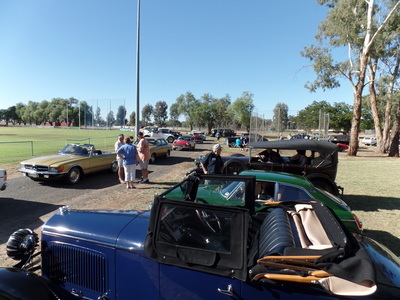 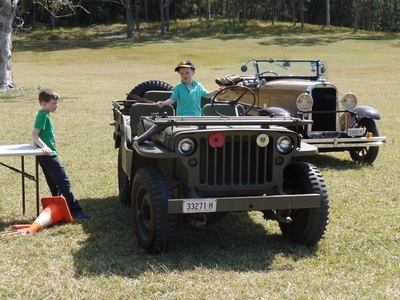 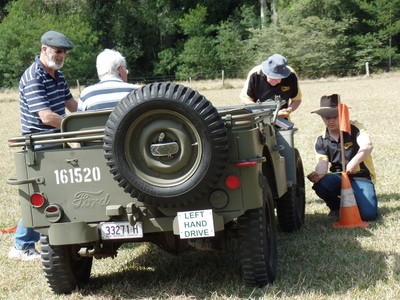 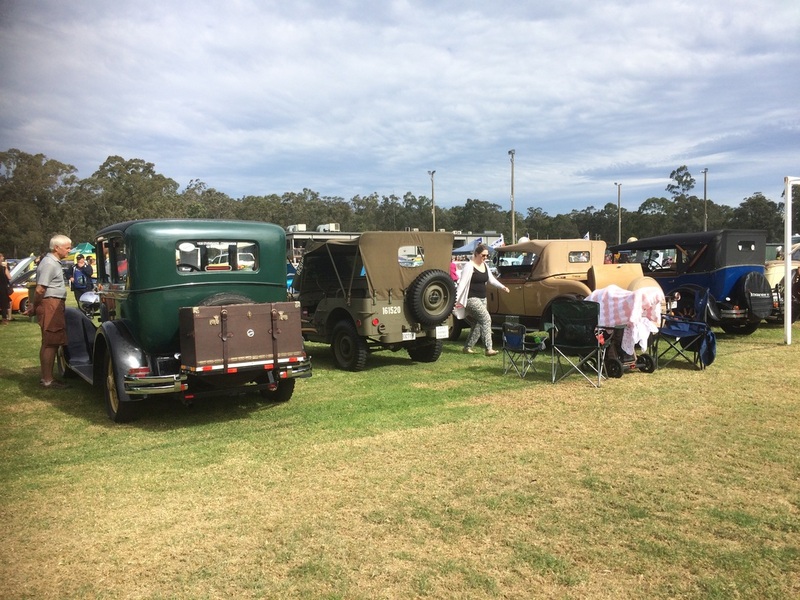 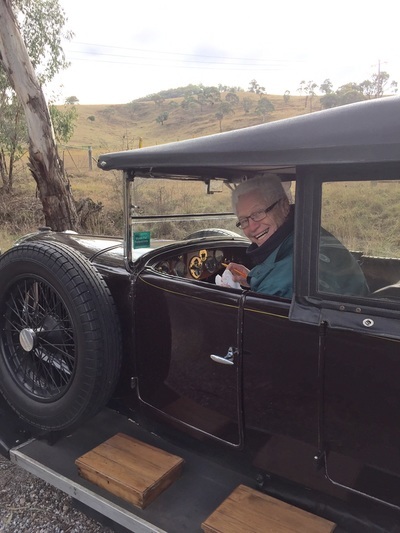 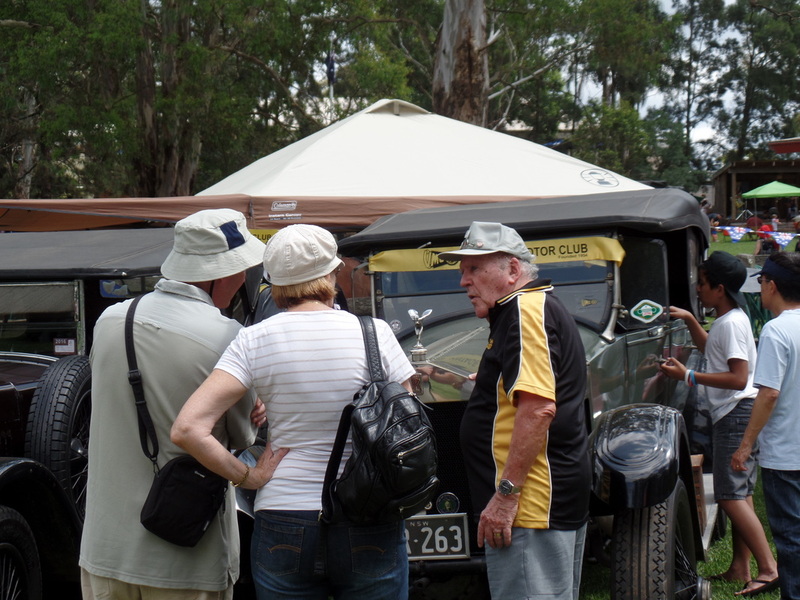 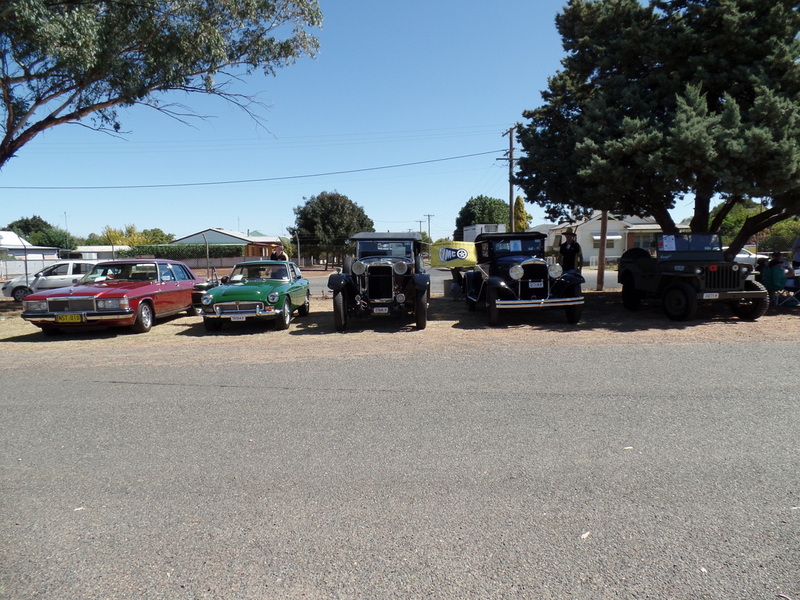 VMC members caught up with old friends and made new ones while enjoying touring their cars among the 97 veteran and vintage vehicles that motored around the Dubbo and Wellington region. 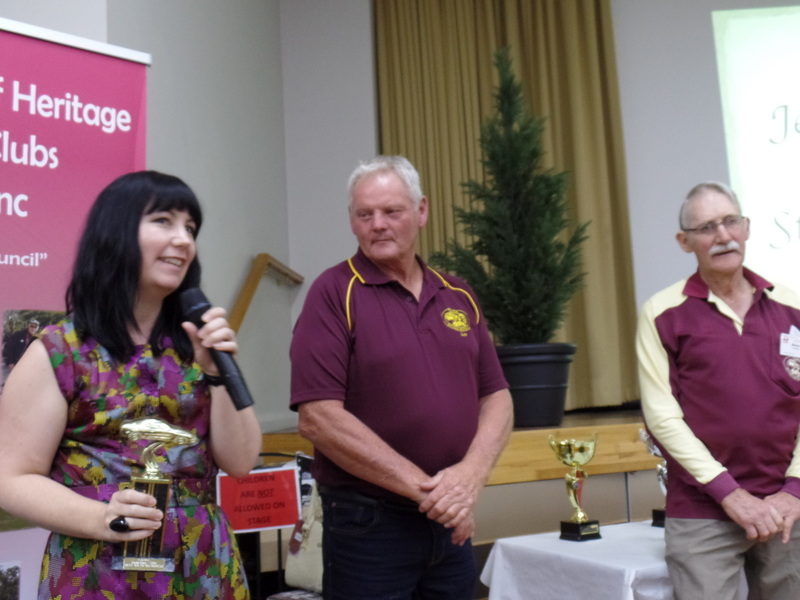 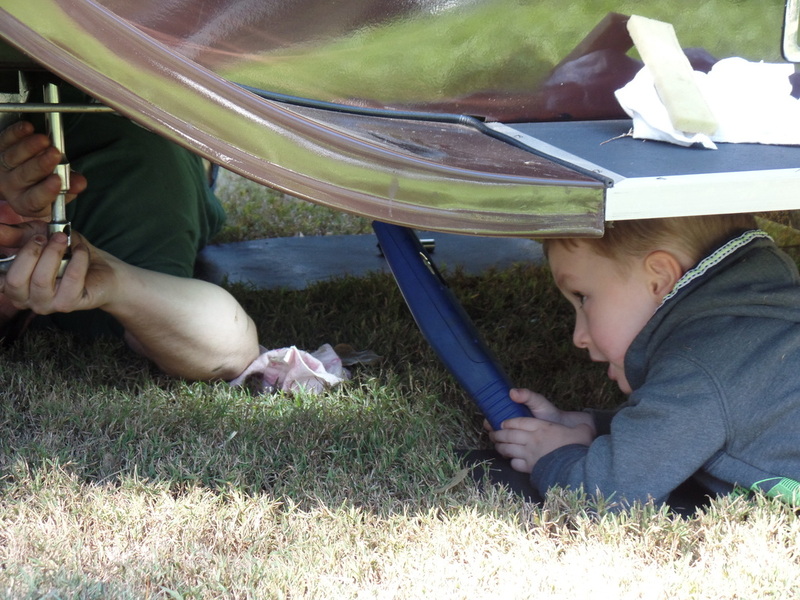 More photos and videos - scroll down on the CHMC News page. AUSTRALIA DAY at Australiana Pioneer Village, Wilberforce. The Olds always attracts attention and Locko always spends a lot of time talking to people about the Rolls.